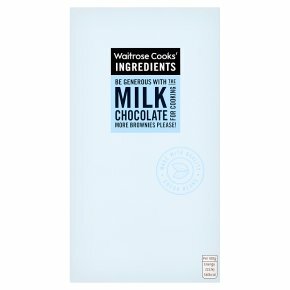 Be generous with the milk chocolate for cooking. More brownies please! Gentle heating is required for chocolate - …overheating may lead to loss of product quality. For 150g bar. MICROWAVE RATING FULL POWER FULL POWER. B/650W 1min 20secs 10 secs. D/750W 50 secs 30 secs. E/850W 40 secs 10 secs. Microwave ovens vary; refer to handbook. Break bar into small pieces. Place in a non metallic bowl. Stir well between heating. HOB. …Break bar into small pieces and place in a dry heatproof bowl. Place bowl over a pan of hot (not boiling) water. Stir until the chocolate is melted. Do not overheat.